For this Thanksgiving special, we feature some beautiful jazz compositions inspired by Giving Thanks. Included in the podcast is the audio of a Thanksgiving tribute from Wynton Marsalis that was aired on CBS This Morning. The video is below. Besides the holiday tunes we also get to hear new music from Kris Allen, Sinan Bakir, Kurt Rosenwinkel, Donny McCaslin, Brad Mehldau and others. I hope you all have a great deal to be thankful for on this holiday. On Being Thankful On Thanksgiving - Wynton on CBS This Morning from Wynton Marsalis on Vimeo. 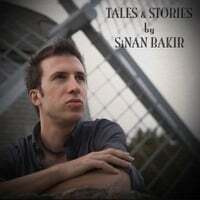 The fine guitarist Sinan Bakir comes to the WHUS studio to promote his new CD Tales & Stories. We talk to Sinan about the new album, his early life in Turkey and how that influenced his music. Sinan gets the Blindfold Test as well. Also heard on today's podcast is Scolohofo, Tony Williams Lifetime and John McLaughlin. Shorter Form ~ Scolohofo ~ Oh! I had to skip this weeks radio broadcast to visit family in Rochester. So, for this podcast, we will revisit one that was published about a year ago that features some Rochester musicians. 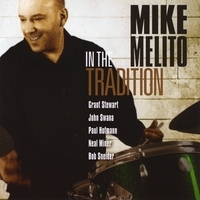 We bring you drummer Mike Melito and guitarist Bob Sneider, a couple of the central figures in the Rochester jazz scene. The next track is from The Westview Project, a jazz trio with the addition of Doug Stone on tenor sax. This podast also has some of the masters of the genre. 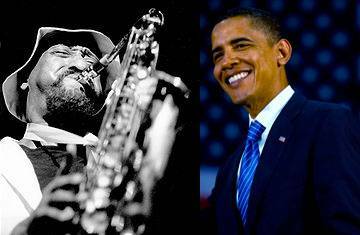 We featured Rahsaan Roland Kirk and Kenny Garrett on tonight's show. Hope you enjoy. We pay tribute to the post hurricane victims from last week and look towards the upcoming elections in this podcast. First a moving rendition of Trane's After the Rain by clarinetist Anat Cohen. We follow that with a mashup I created using Sonny Rollin's Freedom Suite with excerpts from President Obama's inaugural speech from January 2009. While that election was one of historic proportions, this one is just as important for setting the future direction of our nation. Please vote on Tuesday, November 6. It is your civic duty to do so, and it sure feels good to participate in our democracy. The rest of the podcast features some fine playing and composing by Noah Baerman. We finish out this podcast with Mingus' classic Fables of Faubus.